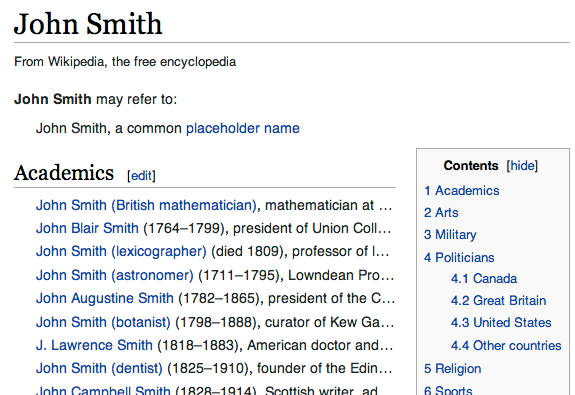 Have you ever found yourself looking up John Smith on Wikipedia, only to discover that there are 205 different John Smiths with Wikipedia pages? It’s a testament to the breadth of knowledge on Wikipedia, but it can also be kind of annoying: what if you just want to know the real deal about the English explorer John Smith’s encounter with Pocahontas? I found myself in the above situation recently, and decided that it’d be interesting to know what is the longest disambiguation page on all of Wikipedia. John Smith has 205 entries, which seems like a lot, but maybe there are other generic terms that have even more Wikipedia entries? 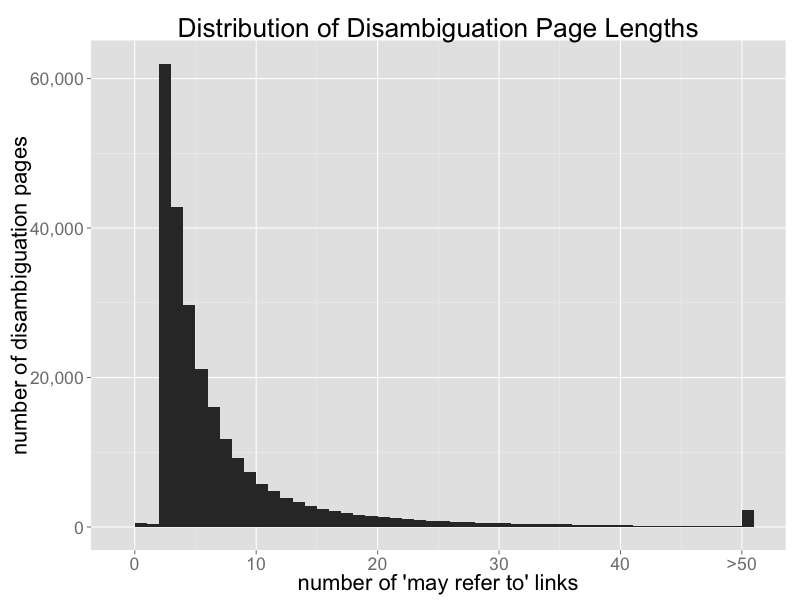 Luckily Wikipedia provides an alphabetical list of all ~250,000 disambiguation pages. I modified the Rap Genius Trackback Scraper to iterate through every disambiguation page, count up the number of list items in each page’s “may refer to” section, and store the results in a database.